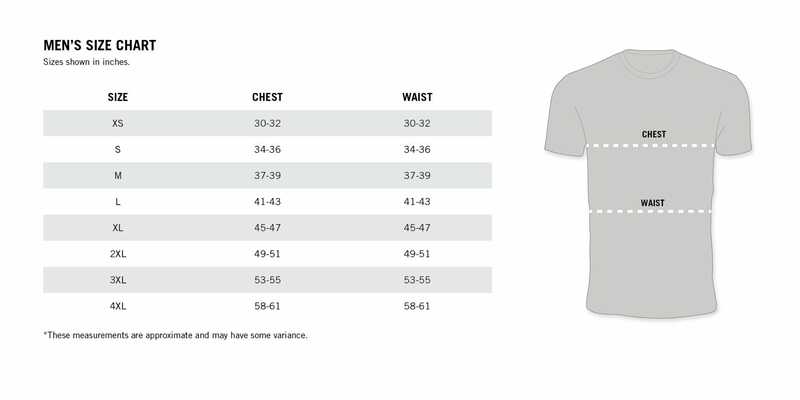 Men's Mule Deer T-Shirt is rated 4.7 out of 5 by 9. Rated 5 out of 5 by Adam from tee shirt I bought a scope and they gave me a free tee-shirt. It is very light weight which is good in hot and humid weather. And it was free, so when I wear it, Vortex is getting inexpensive advertising. Rated 5 out of 5 by Hazlewob from My new "go to" shirt for weekends The shirt fits perfectly for me and it is super soft cotton that also breathes really well. I wear it about once a week while shooting, doing yard work and my weekly visit to Lowe's. Rated 5 out of 5 by K_Koisti from Super Soft I ordered this shirt along with a Sparc and I couldn't believe how soft the material was. Lightweight with a sweet logo; one of my favorite shirts now. Rated 5 out of 5 by General_Vp from I look forward to wearing it everyday. Very soft, and fits well. The graphic is really neat and it feels good on the shirt. I'm ~5'10 and 155lbs, a medium fits me well. Rated 5 out of 5 by Otis from Great shirt! Super comfortable t shirt. Fit is true to size and has a great look to it. I am 5'8" and 180 lbs and the large fits perfect. Rated 5 out of 5 by Bucci from The most comfortable shirt I own! The fabric is is so soft and comfortable. Every shirt should be made with this fabric!